Here is a collection of broadcasts recorded on March 2, March 9 and March 14 of 1940. The quality of the broadcast is listenable, but it is not very enjoyable. The quality of Frank Sinatra and Tommy Dorsey Band at Meadowbrook is a little better than this one. Now let’s talk about the songs that are worth mentioning. 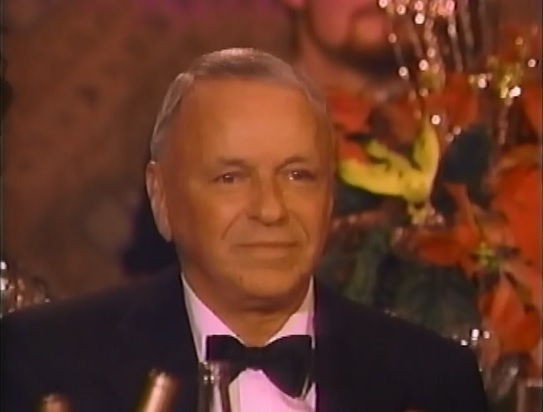 Polka Dots and Moonbeams: Frank Sinatra delivers another amazing performance. I have not heard a single bad version of this song from Sinatra, just amazing. Deep Night: This song actually fits Frank Sinatra perfectly with this tempo. Sinatra has great control over the song, especially when saying “come to my arms my darling”. The problem with this song is, sadly, The Pied Pipers. Without them, it would be perfect. The Columbia Records’ Deep Night can’t come close to this. Fable Of The Rose: Can never go wrong with Fable Of The Rose with Sinatra, just like Polka Dots and Moonbeams. If the sound quality was a little better, I could probably mention Sky Fell Down and I’ve Got My Eyes On You, as well but with this quality it wouldn’t be wise. If I could take only one song from this broadcast, it would be Deep Night.